Law students prepare for a mock trial. Senator J. Bennett Johnston, a 1956 graduate of LSU Law, spent his 32-year political career advancing energy initiatives for the country. As a member of the Senate Committee on Energy and Natural Resources from its creation, and as its chairman and ranking member for much of his time in office, Johnston was either directly or indirectly responsible for all energy legislation considered by Congress between 1973 and 1996. In addition to his public service, Johnston’s energy and environmental efforts are reflected through the J. Bennett Johnston Science Foundation. “We did it to honor his vision of higher education in the state and the region: that the only way we’re going to be able to compete is through higher education and science,” Mary Johnston Norriss, the foundation’s president, said of their efforts to establish the foundation and decision to support the LSU John P. Laborde Energy Law Center. The foundation announced an $800,000 challenge gift to the Laborde Center. The gift will propel the law center’s efforts to raise $20 million to support the center and make it a self-sustaining program. Norriss said the science foundation’s goal is to have the gift matched dollar-for-dollar. The gift, and an additional $200,000 match from LSU Law, will be used to establish an endowed internship program, bearing Johnston’s name, in government energy policy. Johnston said internships acquaint students with career opportunities, and acquaint companies with the skills and abilities of students. “We want to give more opportunity to these law students and custom-train them for great energy jobs around the country,” he said. 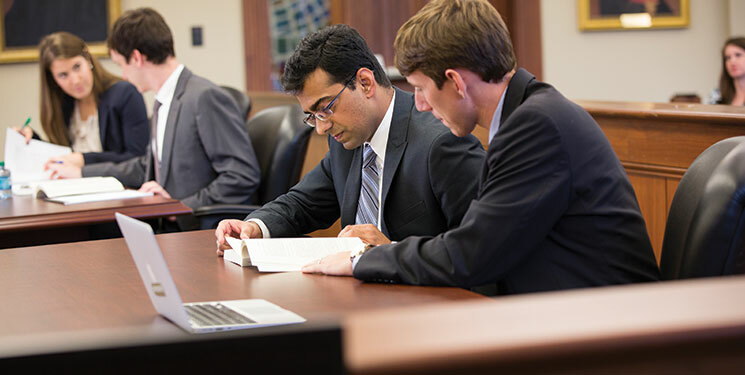 The energy law center, created in 2012, serves as an academic center for comprehensive instruction and research in energy law. 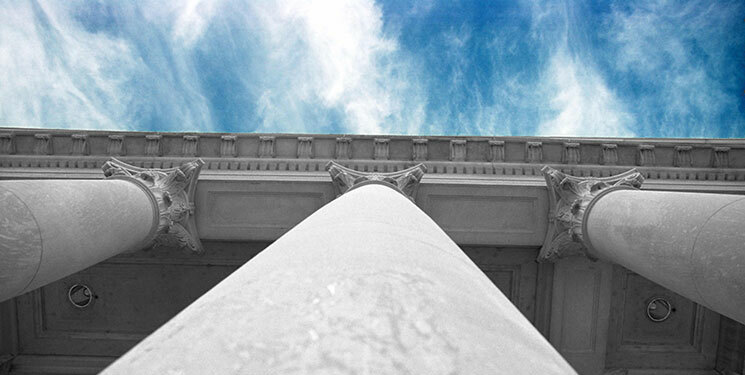 It is the first of its kind in Louisiana and one of a handful in law schools nationwide. It will prepare lawyers to address the full range of 21st-century issues in the complex energy sector, as well as to assume leadership roles in industry, government and the academy. The center has already developed coursework for a new student credential, an energy law concentration that will be implemented in the fall 2015 semester, and is collaborating with other LSU units to develop interdisciplinary coursework. It has also established the LSU Journal of Energy Law and Resources, a student-edited academic journal focusing broadly on energy and its relationship to other areas of law. “One of the things that makes the world go ‘round is energy,” Norriss said, explaining the importance of the center to the country. She added that LSU has the expertise needed, situating it perfectly to house a world-class energy law center. Johnston and Norriss serve on the center’s advisory council, which Johnston described as an outstanding group of lawyers and industry, business and community leaders who will help guide and mold the center’s structure to adapt to energy needs nationwide. He will serve as chair of the council. • Train future advocates and leaders of the energy sector by providing sophisticated expertise in energy law that is grounded in the science, economics, engineering and business of energy. 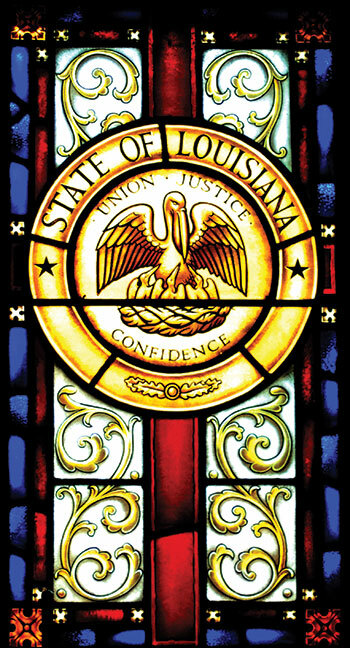 • Take advantage of the uniquely comprehensive “energy laboratory” provided by Louisiana. • Primarily focus on law relating to energy exploration, production, development, transportation and finance, with an environmental perspective. • Provide ongoing, continuing, cutting-edge professional development for lawyers and leaders of the energy sector. • Provide a supportive environment for applied research and policy as a foundation for economic growth and development. • John P. Laborde (’49) contributed the lead campaign gift of $2 million, establishing a double-endowed chair in energy law and a significant programmatic endowment fund. • John T. Nesser III (’73) and family, including Amanda Nesser Moeller (’05) and J.T. Nesser IV (’99), provided the first gift to the center—a $600,000 endowed chair. • Liskow & Lewis created a $200,000 endowment for a visiting professorship in energy law. The Law Center hosted the inaugural Liskow & Lewis Visiting Professorship Lecture in fall 2013. • Two additional endowed professorships were given in support of the program by Edward Womack Jr. (’83) and Sen. Jackson B. Davis (’40) and his wife, Rosemary. • The Louisiana Board of Regents has matched $1.2 million in funds for endowed chairs through two competitive applications for funding. Published in Cornerstone Summer and Fall 2014.